Autopsies are planned Monday on the bodies of three people found dead after a car explosion on a downtown street in what authorities called a "criminal incident" being probed by federal, state and local authorities. ALLENTOWN, Pa. (AP) — In a story Oct. 1 about a fatal car explosion in Allentown, Pennsylvania, The Associated Press misidentified one of three people who were killed. It was David Hallman, not Hillman. 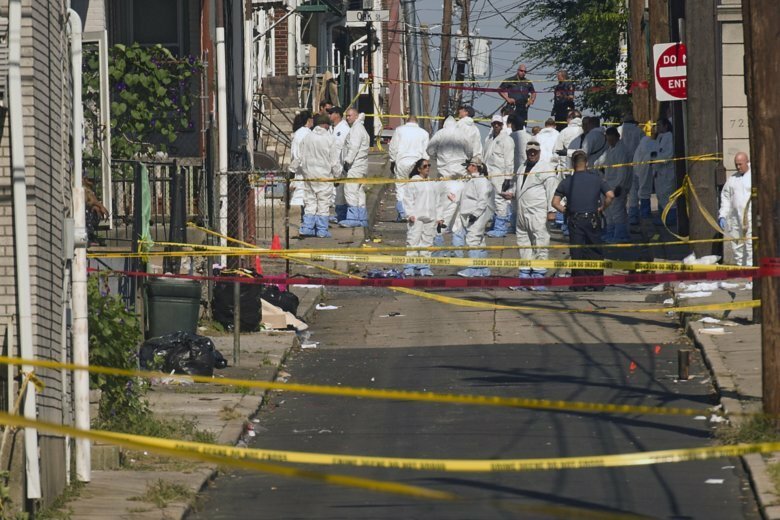 ALLENTOWN, Pa. (AP) — Authorities said Monday that the three people who died in a car explosion in downtown Allentown, including a father and his toddler son, all knew each other, but the cause of the explosion remained under investigation. The Lehigh County coroner identified the three dead as Jacob Schmoyer, 26, and his 2-year-old son Jonathan Schmoyer, as well as David Hallman, 66— who was a friend of the older Schmoyer, authorities said. Don Robinson, special agent in charge with the federal Bureau of Alcohol, Tobacco, Firearms and Explosives, declined to talk about a possible motive or a cause of the explosion. “Obviously we are dealing with an explosion — that could be anything from an accident to a device, an explosive device,” Robinson said Monday. But on Sunday, District Attorney James Martin told reporters at a news conference that he believed there had been a crime. Martin did not speak at the press conference Monday, and it was unclear whether ATF investigators believed either man had purposely caused the explosion. Investigators returned to the area of the explosion early Monday with about 30 of them combing the scene, most of them from the ATF. Some wore hazmat suits. Robinson said agents had removed three cars to continue examining evidence, but said the scene would likely be cleared later Monday.